There is currently a case before the Supreme Court of New South Wales that could have significant ramifications for media outlets and basically any entity who is involved in using social media platforms to disseminate content to the public, including marketing firms. The case involves the Plaintiff, Mr Dylan Voller, bringing defamation proceedings against three Australian media outlets for alleged defamatory comments made against him. The comments were posted by members of the public (not the media outlets themselves), underneath an article referencing Mr Voller that the media outlets had posted on their respective Facebook pages. The case is not against the individuals who posted the Facebook comments, but the owners of the Facebook page on which the comments were made. One of the key areas that the decision of the Court will hinge on is whether such comments are in fact said to be published by the companies merely by virtue of the fact that the content has appeared on their Facebook page. This case is a unique one in that it is considering these specific issues of fact and law for the first time and the Court’s decision will likely rest upon legal authorities from other jurisdictions, creating an entirely new thread of common law. One may argue that the Voller case is the most important decision regarding social media platforms and defamation laws in Australia to date. 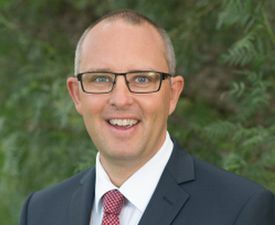 If the Supreme Court finds in favour of Mr Voller, it will no doubt have major implications for not only the top end of town, but potentially small business, including marketing firms who are engaged for the purpose of running business’ social media platforms. It will certainly heighten the level of responsibility and resources that business has to contribute to this area if they wish to exist in the social media world.